Here’s the best tip for surviving a bear attack: play dead. It will be good practice for when you’re actually dead a few seconds later. OK, maybe we aren’t talking about this kind of bear attack, but seriously…get some mace! We mean the kind of attack that happens when the stock market is down. 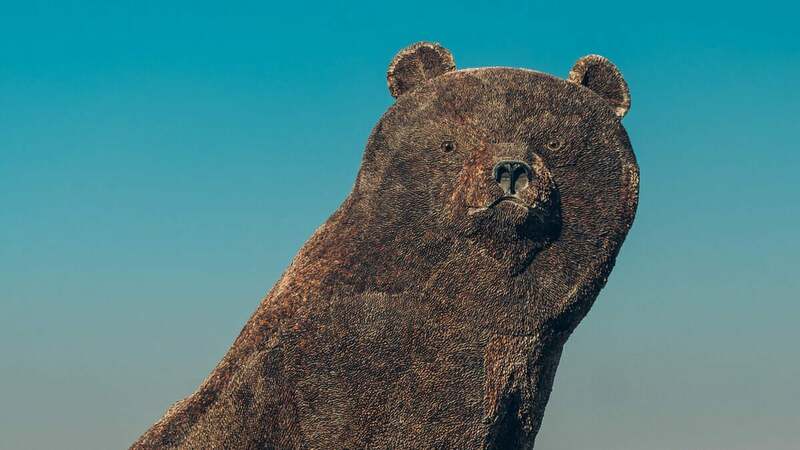 The important thing when it comes to anything bear-related…do not panic. A bear market is simply a period in time in which stock market prices are falling. Simple as that. 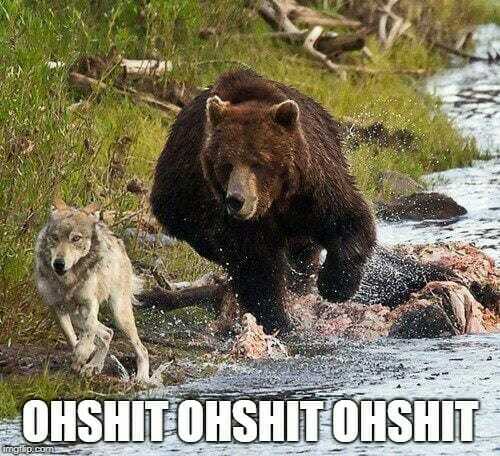 A bear market is a time when most investors panic and run for dear lives like the cunning wolf above. A drop in investor confidence will signal the onset of a bear market. So, if you’re unsure of what is a bull vs. bear market, this article will help clear up the difference. Are we currently in a bear market? Maybe, maybe not—but we’re certainly not in a bull market. I know many of you are logging into Betterment and freaking out, even if just a little. And, I’ll include myself in that list. My first foray into investing and the number is negative. But we’re all in the same boat so don’t panic, this isn’t the Titanic. The ship will right itself. But not overnight. This is why we preach buy and hold. Even if that number is down, it’s still better than having that money sitting in a savings account with a zero interest rate. And remember, investing is only one piece of your overall financial picture. You can’t single-handedly cure Ebola or defeat ISIS. Unless, of course, you’re John Rambo. Those biceps can conquer anything! What you can do is focus on the other areas of your spending. Throw a little extra money at your debt, tighten up your spending leaks, take on a side hustle. If you just have to do something, then buy now! Remember, be greedy when others are fearful. If you are just overwhelmed by it all, ignore it. Tune it out, don’t watch the news, don’t read the financial section of the paper. Just turn a deaf ear and let it happen. Still not convinced? Okay, if you act of out fear or irrational optimism, you are handing over your money to the investment banks and sophisticated investors. This is when the professionals make mad bank. Don’t give those greedy jerks any more of your money! Similarly, selling has tax implications and the government shouldn’t be getting any more of your money either. So the takeaway is, do anything constructive. Go for a run, read a book, refinance your student loan. But leave that investment account alone! First, what is a bear market and how does it work? At its core, a bear market is fueled by pessimistic investor sentiment. While there tends to be some kind of economic event, such as falling stock prices, to kick off bear market conditions, the issue is perpetuated by a pessimistic outlook from investors. Because of this pessimism, selling increases and stock prices can plummet. When this happens, trading activity begins to decrease and same with dividend yields. A bear market is not a technical definition as much as it is an expression of a particular market climate. But, there are some general parameters that indicate this market condition. Generally, if we see falling prices in the stock market and are down at least 20 percent among major market indices—including the Dow Jones Industrial Average (DJIA), the S&P 500 index or the nasdaq—over the course of two months or more, it’s considered a bear market. 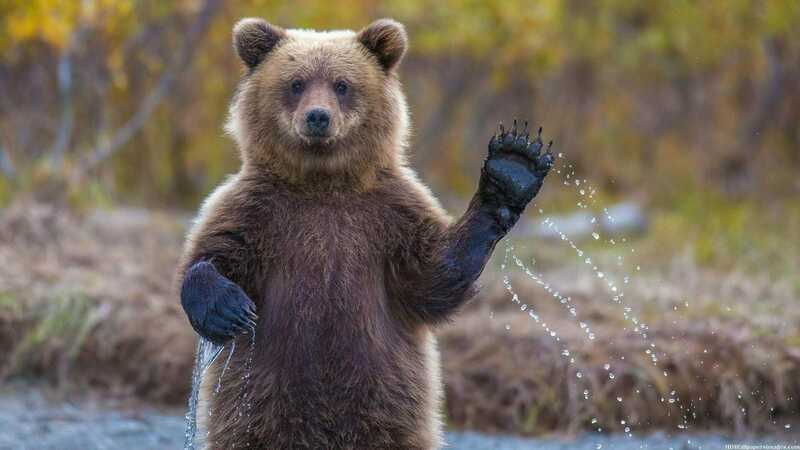 The bear market got its name for the manner by which bears tend to attack their prey: by pounding their paws downward. A bull market, on the other hand, is named for the bull’s tendency to attack in an upward motion with its horns, alluding to the upward tick of the market. 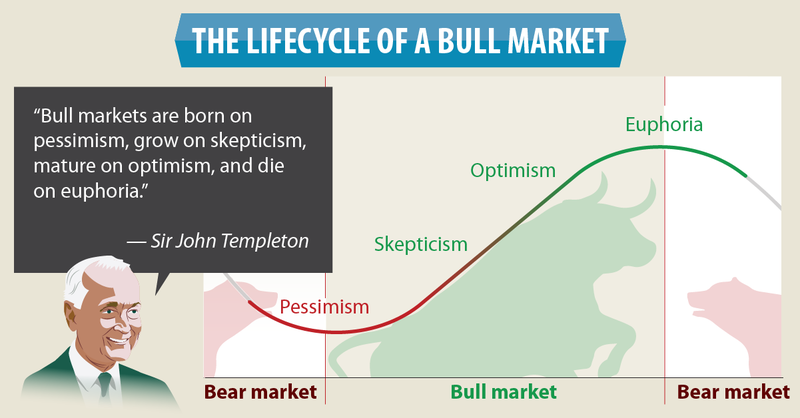 Although a bull market is certainly preferable to a bear market, both conditions are simply a part of market cycles. Be sure to understand what is a bull attack vs. bear attack before you begin your investment journey. Some people confuse bear markets with market corrections. It’s worth noting that these conditions are separate and distinct from one another. The primary difference between the two is that market corrections end within a couple of months. This short-term trend usually follows a market upswing and is defined by a downturn of at least 10 percent. Bear markets, on the other hand, don’t have a clear end. They can last for months (or even years!) with the average bear market duration being 15 months. Bear markets happen on a regular basis—about every three and a half years. So, it’s more than likely that you will experience bear market conditions at some point when you’re investing in stocks. If you are confronting a bear market, there are a few key things to keep in mind. And yes, for this bear you can play dead! When bear market conditions first begin to surface, you may start to feel anxious about your investments and your financial future. It’s important that you don’t panic when things start to take a downward turn. Lots of people make the mistake of pulling out their investments when the market starts to dip. Wall Street goes crazy. But, this will leave you at a loss and prevents you from benefiting when the market starts to climb up again. Think about this: if you were to encounter a bear in the wild, your best course of action would be to stay calm and play dead. You can play dead with a bear market, too! If you see the economic indicators that we are entering a bear market territory, it’s easy to become frantic when. Don’t leave yourself alone with your own fear and anxiety. Instead, take your concerns to a trusted advisor who can help talk you down and provide you with the advice you need to weather the tough market conditions. If you have friends, family members or colleagues that seem to be anxious about the bear market, make it a point to avoid engaging with them about the stock market. It might even be helpful to avoid watching news about the stock market or reading up about it for a period of time. It’s essential that you have the ability to play the long game during a bear market. Think about what the long-term outcomes will be if you choose to ride out the bear market rather than pulling out your investments when things start to dip. You can think of this in the context of driving. When you’re on the road, you don’t look just a few feet in front of your vehicle. Instead, you look further toward the horizon so that you are more aware of what’s going on and can make better driving decisions. Think of the crash of 2008. The people who lost their shirts are primarily those who sold at the bottom of the market. Those who held on, however, are now experiencing brand new highs. When the market returns to normal, evaluate your portfolio and add diversified investments. Having a variety of stocks, bonds, cash and other investments will help insulate you from risk when the market takes a downward turn. Be proactive about diversification before the market starts trending downward, and always take advantage of opportunities to add diversified options to your portfolio. This gives you the greatest chance of benefiting from growth across a variety of markets and reduces the chance you will be significantly affected by a declining market. You should not respond viscerally to a bear market. But, there’s nothing wrong with making a few calculated moves to take advantage of market conditions. 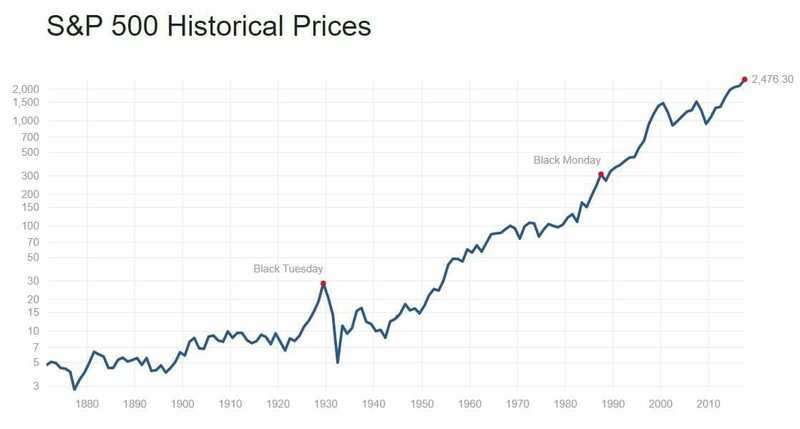 Because so many large companies take a hit during a bear market, you can buy stocks at a low price that are more than likely to spring right back up when market conditions improve. These investments can really pay off, but you should still approach buying with caution during a bear market. As a general rule for all your investment endeavors, you should never put more into the market than you are willing to lose. If you have some extra capital that you can invest in the market, then go for it. If you find yourself losing sleep over the potential losses you might sustain during a bear market, it is possible that your portfolio is not balanced in a way that’s appropriate for your needs and circumstances. Let’s say you’re just a few years away from retirement. You don’t want a high-risk portfolio that is more likely to take a hit when the market turns. Work with your investment broker or a trusted financial advisor to determine whether the current risk level of your portfolio is suitable for your situation. If you’re looking to hold on to your investments long term, you don’t need a super risky portfolio to increase your principal. The market trends upward in the long term. If you don’t take away anything else from this rundown on bear markets, make sure you understand that bear markets are normal and not something that should cause you significant fear or worry. It is part of the economic cycle. Sure, it’s important to be cautious in a declining financial market, but not so cautious that you pull your investments and miss opportunities to benefit from growth in the future. Focus on making the right calls now and being proactive about diversification so that you can feel confident in the stability of your portfolio during bear markets. View a bear market as a normal market condition that will come and go, and not an anomalous downturn that’s never going to end. The market is not meant to stand still or maintain a constant upward trajectory. It’s essential that you are prepared to weather the storms so that you can make the most of the sunshine when the weather finally clears.